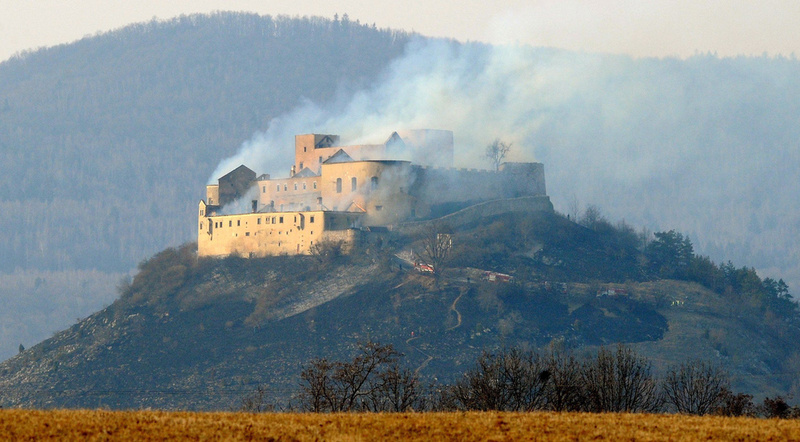 In a tragic event today, the medieval castle of Krasznahorka (Krásna Horka, Slovakia) completely burned out today. The roof of the castle caught fire, and the fire spread to all areas of the castle, burning all the roofs - and, presumably, everything under them. 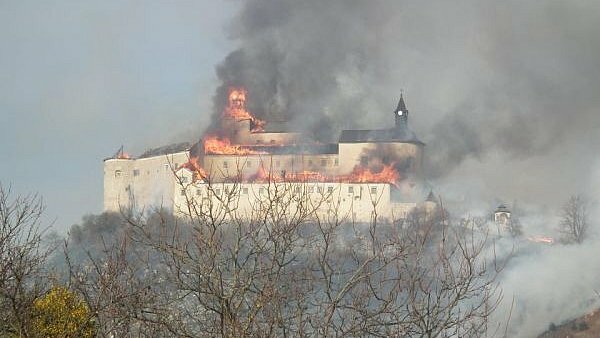 Firefighters battled the blazes for several hours, and finally managed to stop the fire, but the castle is still engulfed in smoke. There are no reports yet of damage to the artworks and other objects in the castle - but it is no doubt very serious. The cause of the fire has not yet been established. Krasznahorka, located near Rozsnyó (Rožňava) in south-eastern Slovakia, just north of the Hungarian border, was one of the most intact medieval castles of Upper Hungary, built by the Bebek family and later owned for centuries by the Andrássy family. 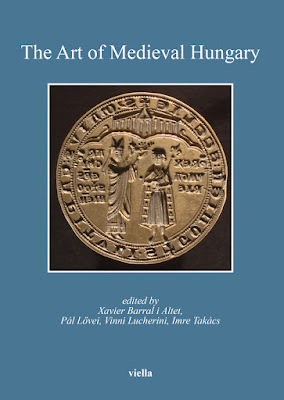 You can read about the history of the castle on the official website. 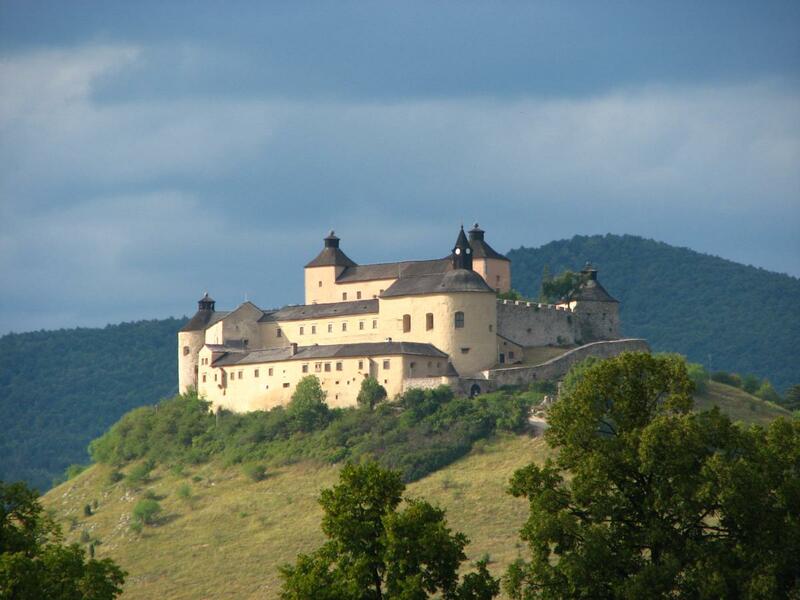 Krasznahorka managed to escape war damage both during the Turkish wars and later, in WWII. It burned down only once before, in 1817. The castle has been operated as a family museum and mausoleum since about the mid-19th century. Exhibitions inside the castle included valuable paintings, furniture and weapons. One of the large bastions has been turned into a Baroque chapel - famously holding the mummy of Zsófia Serédy, the wife of István Andrássy. Photos taken after the fire show that the roof of the chapel also burned down. Here is a video of the fire, and a photo taken after the fire was put out - both showing the scale of devastation. Krasznahorka looms large in both Hungarian and Slovak historical consciousness - a joint effort will be needed to rebuilt what has been lost today. Update on March 11th: Preliminary reports after the fire claim that most of the exhibitions and historic objects survived the disaster. Although all the roof structures of the castle burned in the fire, the vaults did not collapse - thus the historic interiors were not completely destroyed. Objects are now gathered in safe areas inside the castle. Obviously, only a detailed survey and inventory can reveal the extent of the damage in the end. So far, no photos of the interior after the blaze have been published.